The Atlas Kinetic Cell Phone concept focuses on greener technologies without sacrificing design. It’s all made of aluminum and glass. The central sapphire glass reveals the generating and charging unit. Power comes from kinetic energy similar to that found in watches that use oscillating weight to power a mainspring. The idea behind this phone concept is that it brings ideas together from past and present with its wood styling and smartphone functionality. The wood and rock casing is supposed bring together nature and technology, but it just looks like a piece of 70s tech. 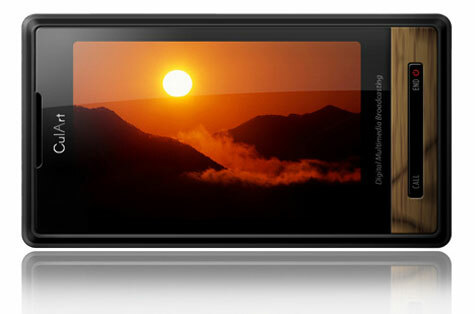 Internally you have your typical smartphone design; touchscreen, camera, slim but the physical design differs greatly. 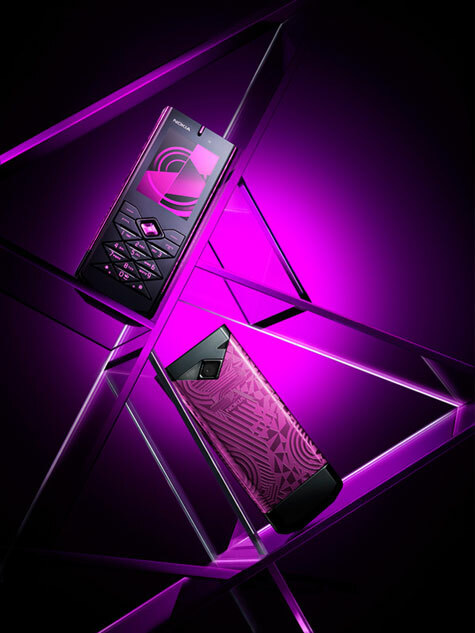 Nokia brought Parisian artist/designer Frédérique Daubal on to design the 7900 Crystal Prism. The result is a playful combination of her multifaceted collages, the return of the 80’s geometric motifs, Nokia’s latest in technology (this 3G phone boasts a 2mgp camera - with video, 1GB internal memory, push email, music player), a “dazzling sapphire crystal centerpiece”, matching headset, and variable color options for the keypad.